Starting Batteries vs. House Batteries. In this size range, batteries serve two purposes whether they are flooded lead acid or AGM lead acid. 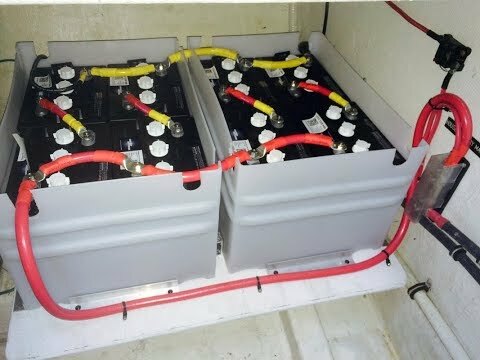 If choosing flooded lead acid batteries, a boater should choose the right battery for the right application. 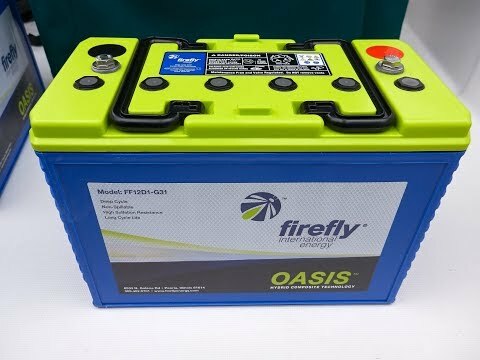 Starting batteries, optimized for high currents for short periods of time, and deep cycle or house batteries, for lower currents for long periods of time. Some boaters are tempted to get a dual-purpose flooded battery as a way of getting both a starter and deep-cycle profile in one battery. 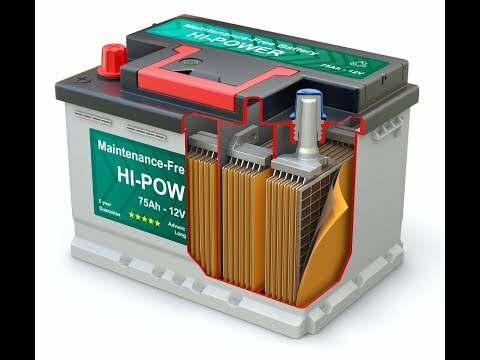 Unfortunately, a dual-purpose battery is neither great at starting or deep cycle applications, if possible it is better to get a dedicated battery for each purpose. In our experience these dual purpose batteries don't really do either well. 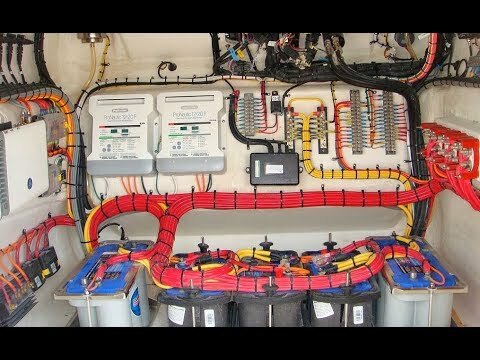 We always recommend if your boat is away from shore power and you are have electrical loads while the engine is off then you should have two batteries. The batteries should be installed so that they can be charged simultaneously but discharged independently. With this setup, you can use either battery to start the engine using a simple OFF-1-BOTH-2 switch. There is nothing more frustrating than spending the day on the water, listening to music, relaxing and then pulling up the anchor only to realize that the boat won't start. By moving the switch to "2" (for your house battery), you do not run the risk of discharging your "1" or starter battery. Working With Limited Space. You can’t create more space on your boat so you have to figure out ways to use the space you have more effectively. 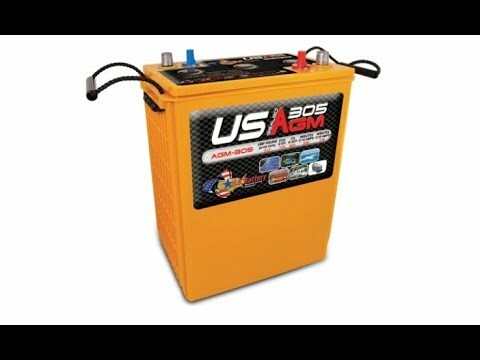 Since AGMs provide more usable battery capacity for the same battery size, the easiest and fastest way is to swap out your flooded lead acid batteries for AGMs. Absorbed Glass Mat technology was introduced in the mid-80’s for military aircraft because the batteries were spill-proof, maintenance-free and offered a greater depth of discharge (70-80% for AGMs versus 50% for flooded). AGMs come in the same sizes as flooded, for instance group 24, 27, 31, even the popular 4D, 8D, and golf cart size. 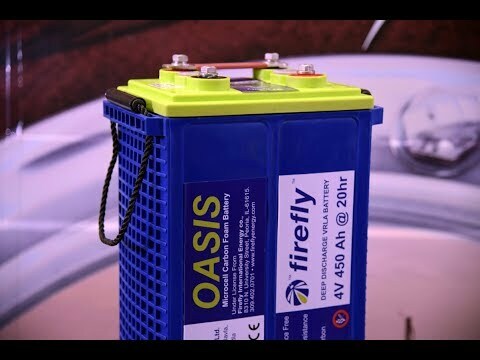 More usable battery capacity with AGMs can translate to increased battery capacity if you keep the same number of batteries or alternatively you can reduce the battery bank size and still have the same amount of usable capacity. For instance, 4 golf cart AGMs will provide about the same amount of usable amp-hours as 6 flooded golf cart flooded batteries. It is up to you to decide how you should benefit from AGM: increase usable capacity and keep the same amount of batteries or keep the usable capacity the same and reduce your batteries by one-third. The only downside is that AGMs are almost twice as expensive. 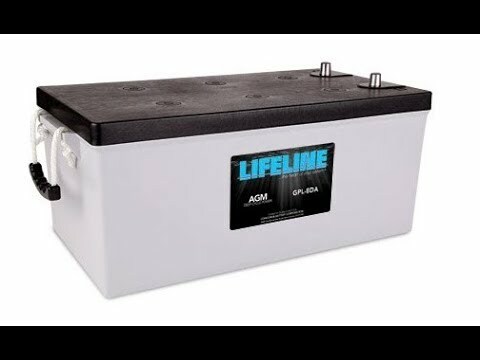 It is worth noting that AGM lead acid batteries can be installed as a starting or deep cycle battery and work well at both. Once you have increased your battery capacity, it is important to have an efficient means of charging your batteries. The first thing to consider is your alternator, this is the device that converts your engine’s mechanical energy into DC electrical energy. The higher your engine’s RPMs, the more energy that is going into your batteries. If you are idling at anchor, it will take much longer to charge your batteries than if you are motoring to your next destination. If it takes too long to recharge your batteries while underway it is worth considering upgrading your stock alternator to a larger size and also think of swapping your built-in regulator for an external smart regulator. Either one of these upgrades can easily increase your alternator output by 50% to 100%. The Smart Charger. To make the most of the energy going into your batteries, we recommend a 3-phase smart charger. Lead acid batteries (including AGMs) follow the bulk, absorption and float charge curve. In order to maximize the efficiency of your charging while off the dock, it is advisable to stay within the bulk charge. Which means, you don’t need to charge past 80 to 85 percent unless you have AC shorepower or are underway. These chargers are safe, easy to use and will not overcharge your batteries. Once you have configured your battery capacity, maximized your alternator output and charging system, we highly recommend installing a battery monitor. It is a fuel gauge for your batteries and will offer you more control of your system and extend the life of the batteries. There is a new Bluesea’s M2 DC SoC battery monitor that allows you to see your voltage, amperage and battery state of charge on one screen. This is a great improvement from older monitors that you would have to toggle through multiple screens to get each piece of information. The configurations for boats under 30 feet are endless, and should be based on the way you use your boat. If you want to leave all the electronic distractions behind and just go sailing, then a basic setup is the way to go. If you want to anchor for two or three days at a time or dock at an outstation with no power, then adding solar or a fuel cell may be the perfect solution. The best starting point is to determine how much power you will use on a daily basis and then design a system from there. If you have a small runabout, consider purchasing a pocket size battery jump starter like the Weego. It comes with jumper cables, LED flashlight, strobe light, SOS functions and a wall/car charger. When using a windlass to bring up your anchor, increase the RPMs on your engine to offset the draw. "From my first contact, it was clear they believed in their…"